Home / HP / Photosmart / HP Photosmart C5180 / C8719R – Guaranteed Remanufactured EXTRA HIGH YIELD BLACK HP363XL cartridge – delivered FAST & FREE! C8719R – Guaranteed Remanufactured EXTRA HIGH YIELD BLACK HP363XL cartridge – delivered FAST & FREE! 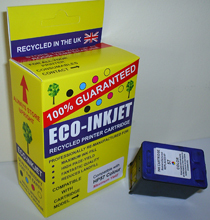 17.6% More ink than the HP high yield model – filled to 20ml of top grade pigment ink. 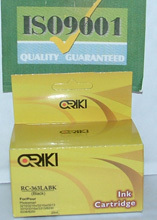 ISO9001 quality assured. 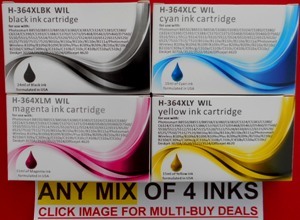 1.HP364XL-4Comp – Set of 4 Guaranteed HIGH YIELD HP364XL Compatible Bk/C/M/Y Ink Cartridges – delivered FAST & FREE! 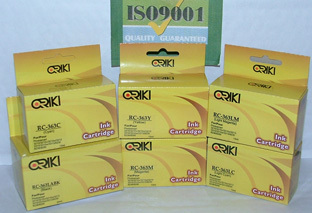 C6657R – Guaranteed Remanufactured HP57 Colour Cartridge delivered FAST & FREE! CB316EE – Genuine Branded HP364 Standard Yield BLACK Cartridge – delivered FAST & FREE! 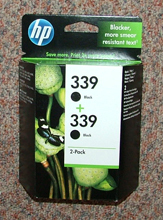 C9504 – Genuine Branded Twin Pack of HP339 Black Vivera 21ml Cartridges – delivered FAST & FREE! 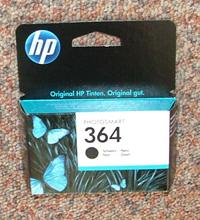 1.HP363set-rem – Full set of six guaranteed compatible HP363 ink cartridges – delivered FAST & FREE!